‘Tis the season for holiday parties, cookie exchanges, and family gatherings. 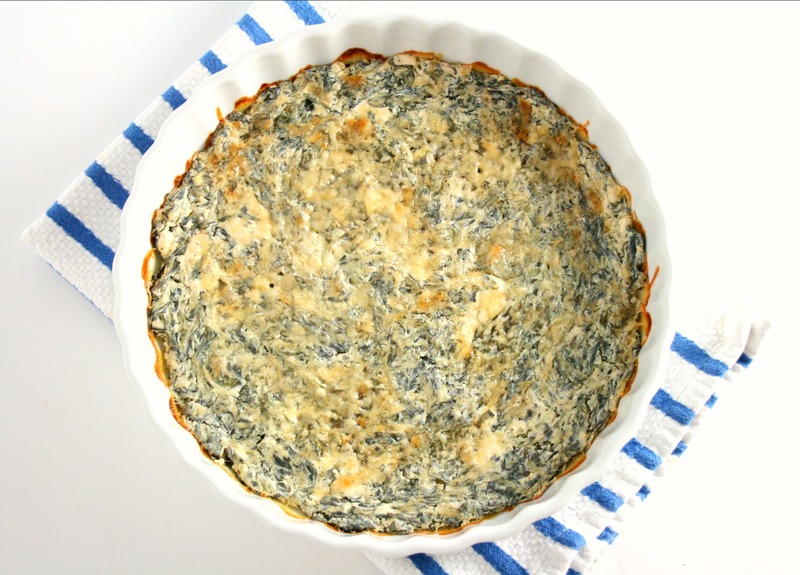 Try my skinny spinach dip to save a couple calories this holiday season. This month’s recipe redux challenge is “Grab a book and cook”. We were challenged to grab our nearest cookbook and “redux” the recipe on page 201, 16, 216 or any combination of the number 2016. My favorite cook book is the first cookbook I was ever given. Years ago, my old neighborhood compiled a cookbook of their cherished recipes. My mom gave me this cookbook for Christmas. It has recipes from favorite neighborhood events. From graham cracker toffee, buffalo chicken dip, turtle cake, and of course spinach dip- the recipe book has it all. The recipe on page 16 just happened to be spinach dip! Hot, cheesy, and delicious! What’s your favorite way to “healthify” a recipe? Share in the comments below! 'Tis the season for holiday parties, cookie exchanges, and family gatherings. Try my skinny spinach dip to save a couple calories this holiday season. Defrost and squeeze water out of the frozen spinach. Combine spinach, mozzarella cheese, cream cheese, and spices in a large bowl. 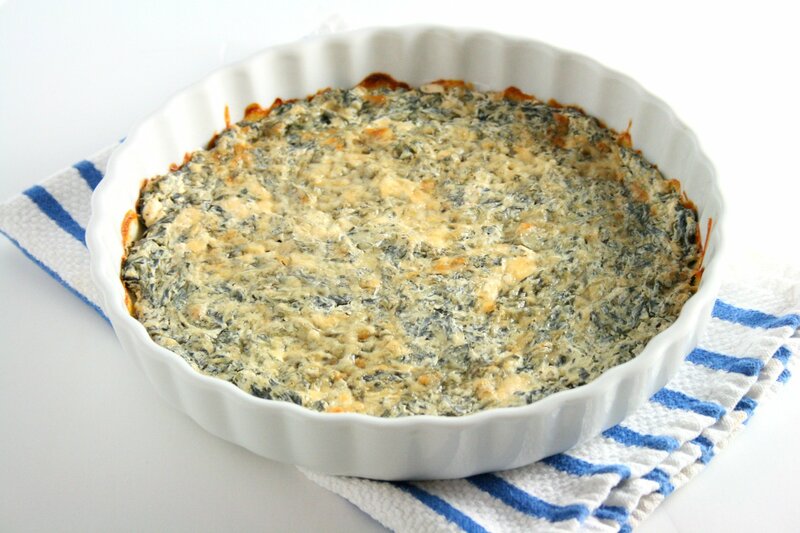 Pour spinach dip into a baking dish and top with Parmesan cheese. Bake for 10 minutes or until the cheese is golden brown. Serve with pita chips, toasted baguettes, and assorted veggies.